From the other social media outlets I have signed in for from Twitter, Instagram, and Pinterest. 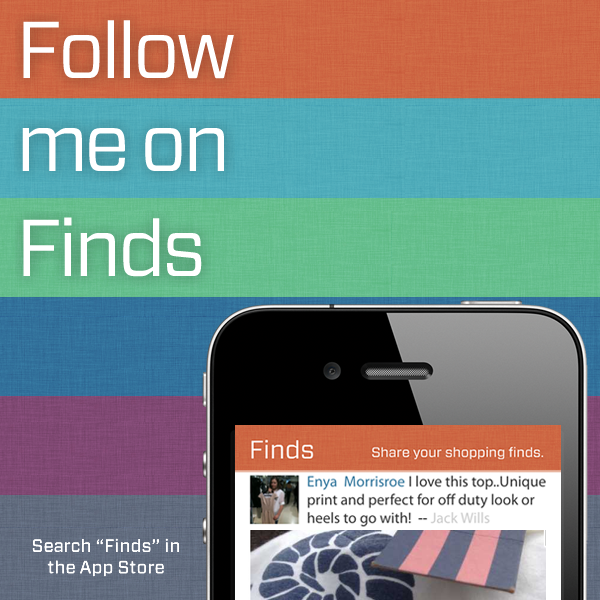 I’ve gone on a more shopping route by signing in with the “Finds” app. The “Finds” app is all about snapping your retail moment wherever you maybe in the world regarding the brand or store Ladies and Gents! You can find me under ‘EJMfashion’…. Once you’ve snapped your retail moment or purchase you can simply share it with friends. I’ve had this app for a couple of days now and I’ve had good fun with it sharing, my retail moments whilst allowing my followers to shop the items too. You can create an account and start sharing your retail moments with your friends in one click. Enjoy finding your retail moments!